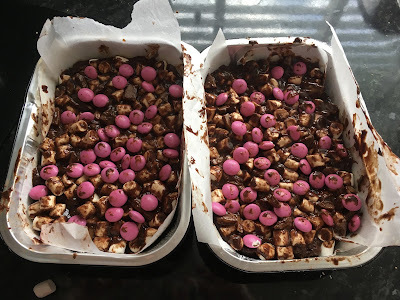 So yesterday I made rocky road. 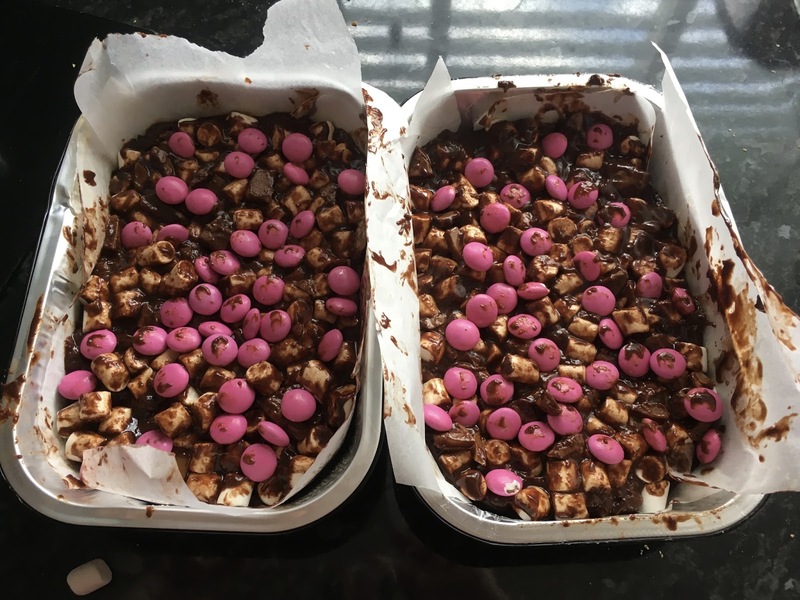 I'm not the biggest fan of traditional rocky road so I put my own twist on it. 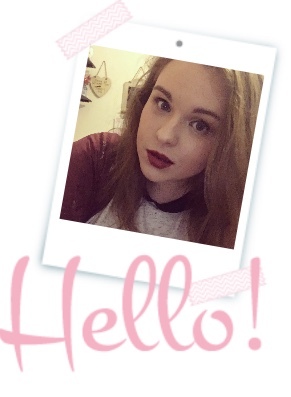 Is it still rocky road? Who knows but it tastes pretty good to me. This is such a good recipe because it takes no time to make and it doesn't actually involve any baking. Oh I used a Nigella recipe but I changed it a lot, I'm no Nigella in the kitchen. Well I like a good pun but somehow I don't think the sight of me in the kitchen would have the same affect as Nigella. Get all your ingredient's ready and weigh them all out. I found that a few more marshmallows really didn't hurt. Also if a few ingredient's happen to make it into your mouth then just make sure you add some more to the mix. There's a slight chance a few biscuits went missing during the making of the bars.....I don't regret it because they were great. Add 3tbsp's of golden syrup to a pan and add 125g butter. 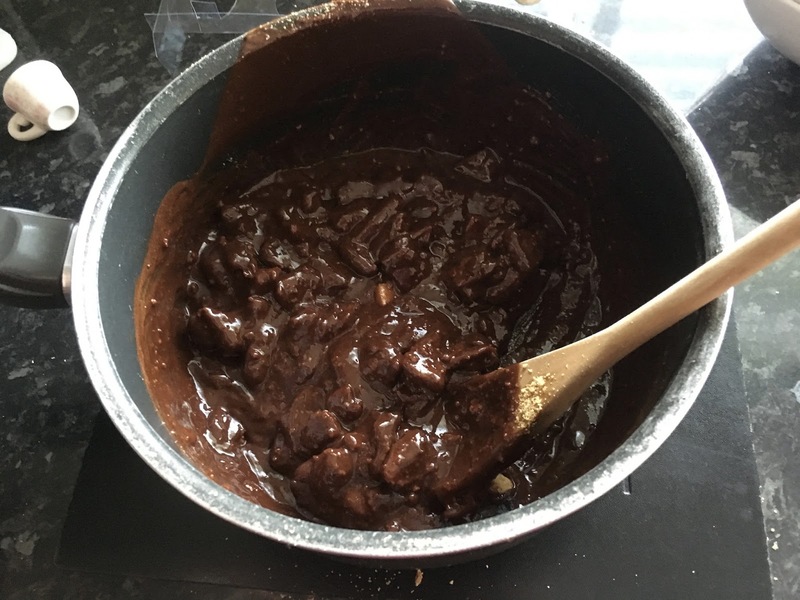 Now add your dark chocolate and the milk chocolate. 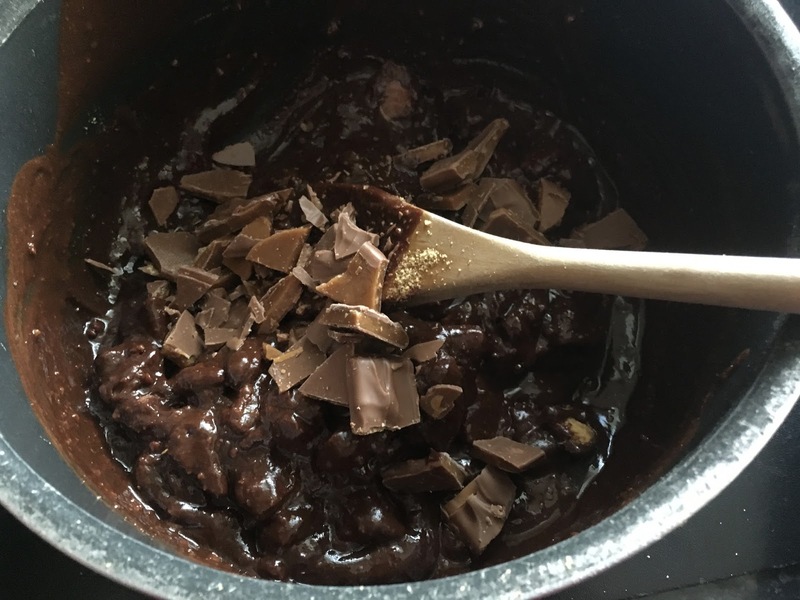 Put the pan on the heat and let it all melt together until you get a glorious chocolate pool. It smelt incredible and the urge to just drink it straight from the pan was high. Luckily I didn't drink molten chocolate but I almost did. Anyway take it off the heat and pour about 125ml of it into a separate jug and let it cool. Grab your biscuits and either smash them with a rolling pin and chop them. You want to chop them so you end up with crumbs and biscuit pieces. Try to resist the urge to eat the biscuits, the caramel digestives are always my downfall but I didn't eat any of the chopping bored. I already had 5 before i started. 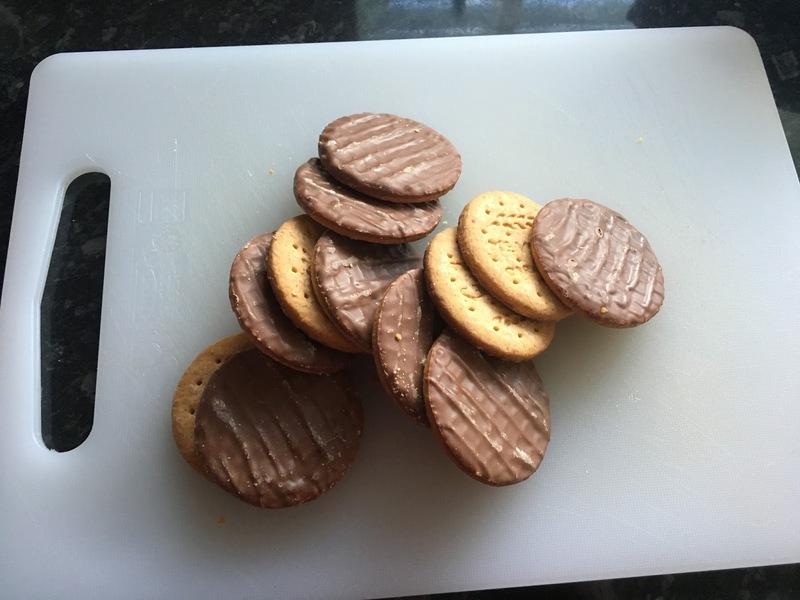 Pour the biscuits into the pots of delicious chocolate and mix it all together until the biscuits are coated. 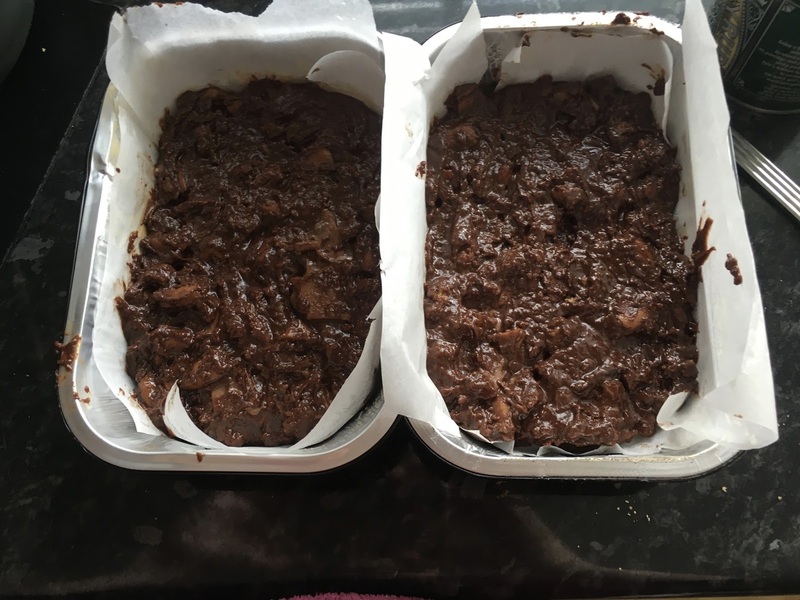 I then added two broken up daim bars because I think they add so much flavour to the bars. Nigella used a 9inch square pan but I'm not made of money and I just couldn't be bother to buy one. Use two small tins, I don't know what size they are but any tin will do. Pop the mix into them and press it down. Pour over the chocolate that you saved and then sprinkle on the marshmallow's and smarties. 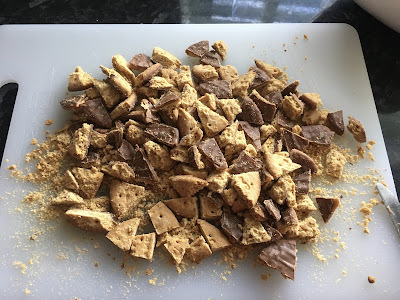 I then used my hands to press them into the biscuit mix, it was a messy job and I'm really not ashamed to say that much like a bowl of cake mix.....I licked my afterwards. Come one people what do you expect from me, I likes my chocolate. Pop them in the fridge to set for about 2 hours. I got impatient so I popped them into the freezer for about 30 minute's. Get them out and then cut each block into 8. I still stand by the fact that if a knife is not used then its technically just one big slice, so please bare that in mind. Here's the finished rocky road bars. They wont be winning any awards fro presentation but they certainly taste good and they may last the rest of the week....then again i might have actually eaten them all before this blog post even goes live.